Jordan Kahn came in as our terrific pinch hitter when René Redzepi fell ill the night he was to fly over from Copenhagen for his lecture with Lars Williams. 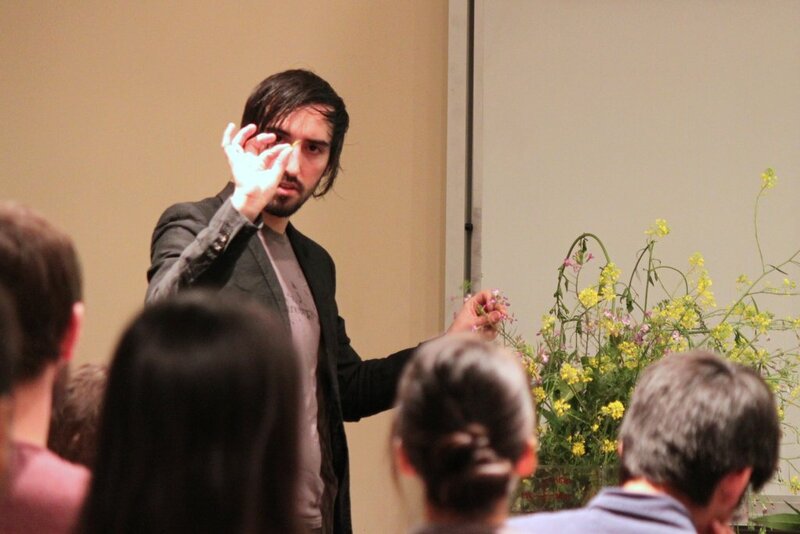 He was the first lecture of the class and provided an introduction to looking at food as molecules. Jordan is the chef/partner at Red Medicine in LA. Jordan brought in an incredible bounty of wild plants, herbs, and flowers foraged just the day before in nearby Topanga Canyon. 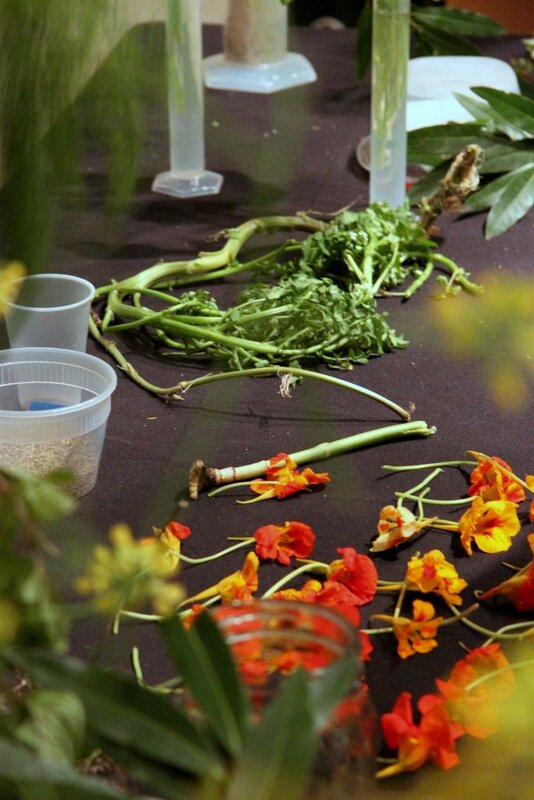 Many wild plants have a much more intense and often completely different flavor than do their domestic counterpart. Why is this so? 1) Remember that from the botanical perspective, these ‘smelly’ molecules are defense mechanisms for the plant and help to repel predators. Wild plants face a greater selective pressure and therefore, perhaps evolution has selected for the most potent smelling plants. 2) Perhaps domestic herbs bought at the supermarket experience a dramatic degradation of flavor after harvesting. 3) Terroir affects taste, so that fennel foraged from Topanga Canyon tastes differently than does fennel from San Diego. Jordan gathered everything that he brought within a 30 sq. ft area. Herb farms, on the other hand, may be quite homogeneous in terrain as well as crop. 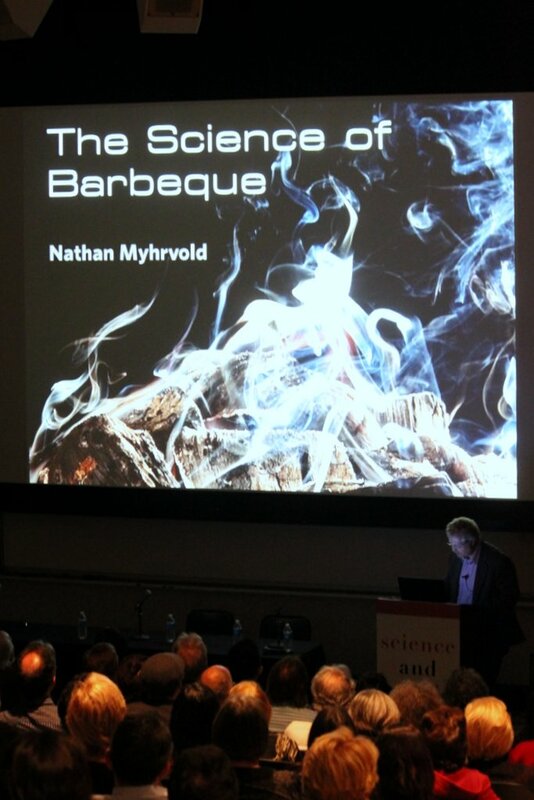 Last night, Nathan Myhrvold, of Modernist Cuisine, kicked off our inaugural Science and Food Public Lecture Series with a succinct and entertaining lecture on the science of BBQ. 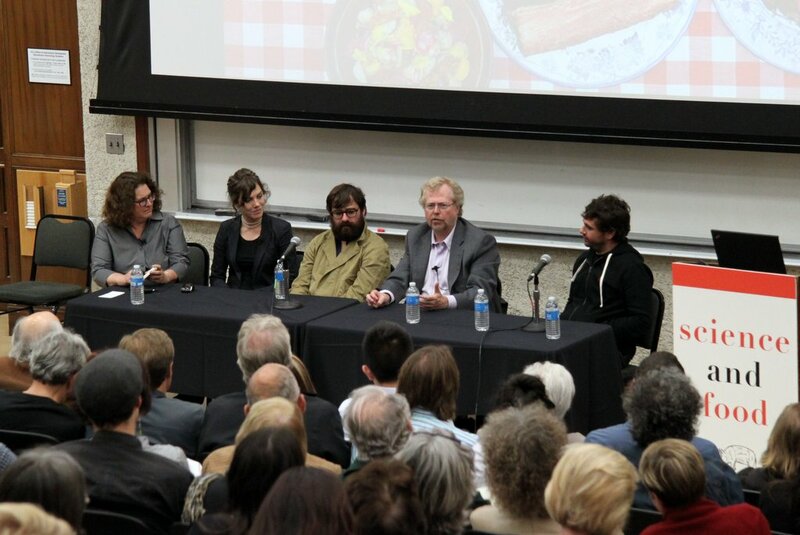 After the lecture, the eloquent Evan Kleiman moderated a panel discussion and Q&A session with Nathan, Amy Rowat, Jon Shook, and Vinny Dotolo.